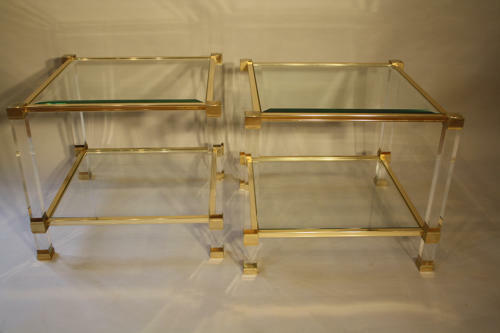 A good sized pair of lucite, gold metal two tier side tables by Pierre Vandel, Paris, France c1970. Glass shelves sit into frame. Pierre Vandel tag. Would work well either side of a sofa or chair or placed together as coffee table.